If you live in the European Union, or if you’re an avid fan of European politics (and who isn’t? ), you’ve probably heard about Article 13 in the past handful of months. And if you heard about Article 13 from someone on the internet, that person probably didn’t have kind things to say about it. Article 13, which was approved by the European Parliament today, includes a so-called “Copyright Directive” that makes platforms like Google, Facebook, Twitch, and YouTube liable for whatever is contained in the content users upload to those platforms. Fair play to the broader strokes of these laws: Creators deserve credit for their work, and tech giants are badly in need of regulation. In reality, though, Article 13 doesn’t really accomplish either of those things. Companies will either have to pay rights holders (read: usually other big companies) for any copyright-infringing content, or—and this is the more likely outcome—they’ll have to meticulously scrub uploads of any content that might cross the line. On sites like YouTube and Twitch, where creators regularly create videos and streams using everything from video game footage to emotes of copyrighted characters, this could signal a sea change. In the months leading up to today’s vote, YouTube and Twitch put out uncharacteristically aggressive statements that took aim at Article 13. 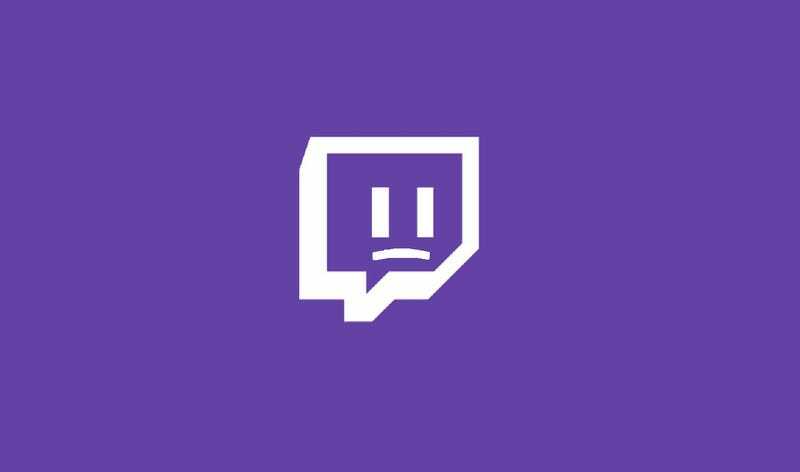 In a letter published in December, Twitch warned that it “could be forced to impose filters and monitoring measures on all works uploaded by residents of the EU,” which would require streamers to “provide copyright ownership information, clearances, or take other steps to prove that you comply with thorny and complicated copyright laws.” The company also warned that streamers will “very likely have to contend with the false positives associated with such measures, and it would also limit what content we can make available to viewers in the EU.” In other words, even if you’re streaming in the US, you could lose European viewers thanks to Article 13. In a similar letter, YouTube put forth an even more explicit condemnation, stating that “Article 13 threatens hundreds of thousands of jobs, European creators, businesses, artists and everyone they employ,” because its passage would turn hosting regular people’s content into a bottomless abyss of risks. Twitch, YouTube, and other companies like Google are framing this as an attack on creators, and these companies, as the self-anointed stewards of an open internet, now seem like protectors of the people. But, really, this is about money. Article 13 is a threat to these tech companies’ bottom lines. Luckily for them, it’s also a threat to their large, professionally vocal user bases, which these companies can now marshal to their cause. I’ve seen a handful of small streamers express hope that Twitch will just pay the licensing fees because it cares so much about its community. That seems unlikely, but I’d love to be wrong. The version of the Copyright Directive that passed today mentions “safeguards on freedom of expression” in the form of exceptions for memes and gifs as well as less stringent rules for start-up platforms. Still, Article 13 has streamers worried. Popular streamer (whose face is a possibly even more popular emote) DansGaming said on Twitter that “Twitch’s future in EU is now uncertain,” and Swedish streamer (and edgelord-in-chief of Twitch’s biggest troll community) Forsen said during a stream today that Article 13 has him considering a move to the United States. Article 13 won’t kick in right away. The countries that comprise the EU must now accept Article 13 and its associated articles and directives, leaving room for amendments and other changes. It won’t officially go into effect until 2021.